A nightmare before Christmas. 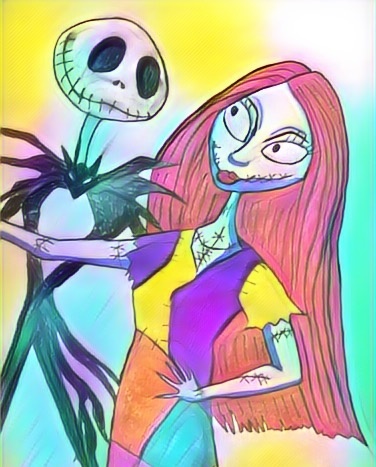 Jack and Sally. They are so cute! I love this movie! They are so cute! I love this movie! Burton is a genius! Thanks for the Fav Chick! I know I love the movie. I never get bored of it. Yes Tim Burton is indeed a genius. Fanbloodytastic!